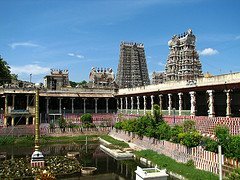 Tourist Places in Tamil Nadu: Tamilnadu is situated on the shores of the Bay of Bengal in the midst of the deep blue Indian Ocean, bordering with Kerala in the west, Karnataka in the northwest and Andhra Pradesh in the north. This beautiful state is the land of temples with towering gopurams that soar above the markets of almost every town. The people are deeply interested in music, literature, and dance. Tamilnadu is also called as Gateway to the South. This marvelous land provides a perfect holiday for those who love the combination of a tropical climate, cooler hill resorts with exceptional scenic beauty, sandy beaches, friendly people, historical monuments, art, ancient culture and heritage. Tamilnadu is also called as Gateway to the South. This marvelous land provides a perfect holiday for those who love the combination of a tropical climate, cooler hill resorts with exceptional scenic beauty, sandy beaches, friendly people, historical monuments, art, ancient culture and heritage. There are many things to do in Tamil Nadu. This warm and hospitable land is the home of Dravidian art and culture. It was dominated by Pallavas, Pandyas, Cholas and Cheras and has over 2000 years of continuous cultural history. 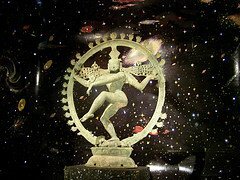 They were great patrons of art and culture, which can be seen in the historical monuments of Tamil Nadu. Chennai, capital city of the State, offers beaches, pilgrim centres, museums, art gallery and more. Kanyakumari, where the three oceans meet. Kanchipuram, the city of temples and silk. Rameshwaram - well known Pilgrimage center. Thirunelveli one of the most visited destinations. Coonoor is also one of the great tourist places in Tamilnadu, which is the second largest town in Nilgiri Hill Stations. Sim's Park is the great attraction here, which is developed partly in Japanese style. Opposite to the main entrance of this Park lies the famous Pasteur Research Institute. Pichavaram, located in the northernmost part of Cauvery Delta, is known for its exclusive mangrove ecosystem and backwaters. It is another great place to be while visiting the tourist places in Tamilnadu.